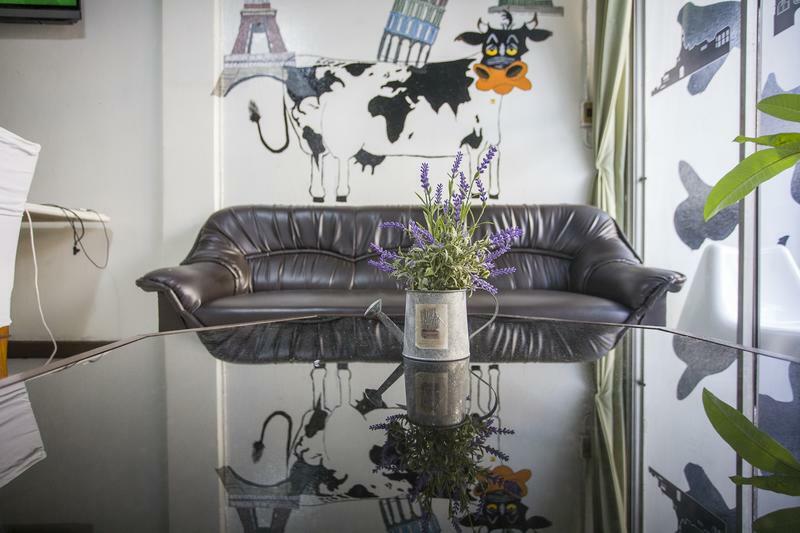 Located in the lovely area of Sukhumvit, COW Hostel enjoys a commanding position in the plenty of restaurants, street food and nightlife in the area and of course travel is simple with the convenient rail networks. From here, guests can enjoy easy access to all that the lively city has to offer. C.O.W. Hostel features 7 beautifully appointed guest rooms, each including internet access â€“ wireless (complimentary), desk, internet access â€“ wireless, non smoking rooms. Everyone is welcome and just chat, hang out and get to know each other. We are the third townhouse opposite of Asoke Montri Hostel on the first alley on your right hand side just 80m in the Sukhumvit soi 19 which is right in front of Terminal 21 Shopping Mall. The Asok BTS and Sukhumvit MRT is connected to Terminal 21.